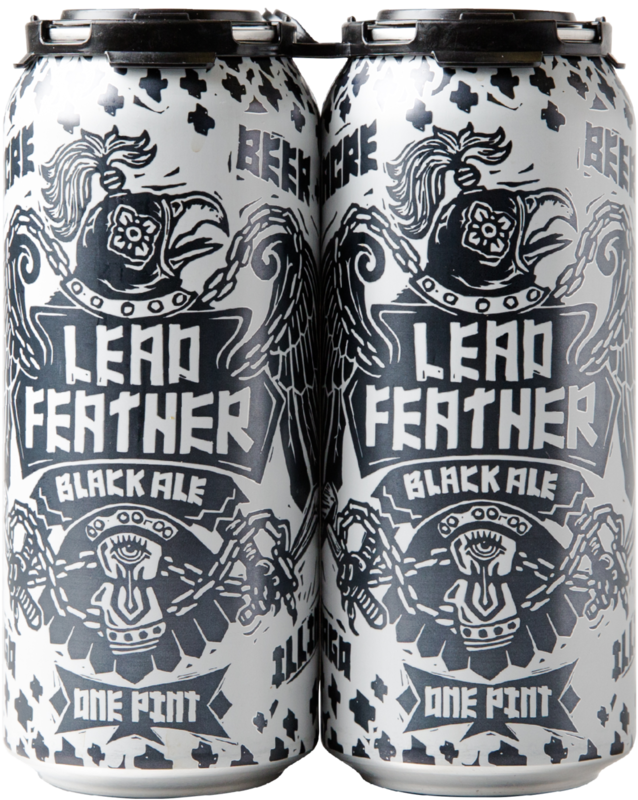 Leadfeather is a beer that took several forms becoming exactly what it is today. It was born out of a beer named Ghost Parade via a Baltic Porter we brew called Crystal Norde. To have a formidable black beer as part of our program in the cold, dark months is ritual and essential. Destined to fall, we’re all going down. Oat aroma with baker's chocolate, slight milk chocolate, woody pine and raisin, resin, cracker, rich with a dry finish.